A softphone is any software that can do the same thing as a phone. As our would has become increasingly connected, while at the same time, our computing capacity has expanded, softphones have expanded as well. Today’s softphones are capable of communicating over the web or to the PSTN, transmitting not just voice, but through paperless fax and IM. 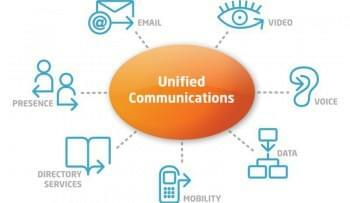 Many softphones incorporate sophisticated features like voice recognition, CRM integration, and email integration. Softphones are expected to be compatible across all popular operating systems and work on a desktop or mobile device. While some softphones come packages as part of a service, others are able to use any compatible provider, all you need is a proper SIP client. Zoiper and Bria are two such open platforms, and today we are going to see how they measure up to one another. Zoiper has three paid versions, which are Zoiper Classic for € 29.45 ($40.34), Zoiper 3 for € 33.10 ($45.34), and Zoiper Web for € 750.00 ($1027.27). Bria 4 is available for $49.99 per license. For a softphone to be successful, it has to work across a range of platforms, be they smartphones, tablets, or desktops. Bria and Zoiper are both available on OSX, Windows, and Linux Ubuntu, and both support iOS and Android. But, only Zoiper natively supports Windows Phone 8. Zoiper also lets you run it from a flash drive. 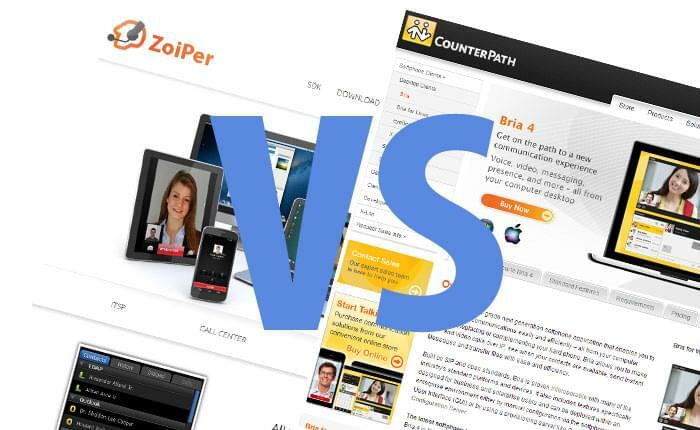 Both Bria and Zoiper support video, IM, fax, and presence, in addition to audio. They both support wideband audio codecs and bandwidth-saving audiocodecs. Both softphones are compatible with a wide range of USB and Bluetooth headsets. Similarly, they both support zero-touch configuration of devices. Security is paramount when it comes to personal and business communication. Fortunately, both Bria and Zoiper have military grade TLS/SRTP (Transport Layer Security/Secure Real-time Transport Protocol) encryption. This high level of encryption protects users against eavesdroppers, hackers and spoofers. This level of protection is actually more secure than the PSTN. Zoiper can work with SIP, IAX, IAX2, and XMPP accounts and can handle multiple connections at the same time. Similarly, Bria works with SIP and XMPP accounts, and can handle multiple connections. There is, at this time, no support for IAX or IAX2. IAX stands for Inter-Asterisk eXchange. It is a protocol native to Asterisk that is used primarily for sending voice signals to servers and termination devices (phones). The new version, IAX2, has been in use since February of 2010. XMPP stands for Extensible Messaging and Presence Protocol. Once known as Jabber, it is primarily a method of making different types of Instant Messengers compatible with each other. Zoiper also is compatible with fax machines, which Bria does not support. Zoiper has a more tailored pricing scheme, which may be confusing for some. But Zoiper also has slightly greater compatibility and greater flexibility. What Bria does have in its favor is an easy to understand interface that is caller-centric.